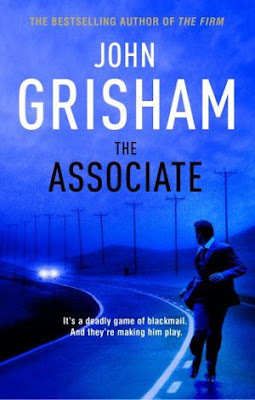 I finished reading John Grisham’s latest book, “The associate” and this post is a quick review of the same. In brief, I felt the book very interesting till the end, but was left highly disappointed because so many questions were left unattended and unanswered- like a suspense movie, without any climax. Kyle McAvoy: A brilliant law student at Yale and editor of Yale Law Journal, who has received job offers from several law firms including Scully & Pershing, one of the top firms in NY. Bennie Wright: Someone with unlimited budget and resources, having access to information and content like no one else, who blackmails Kyle to joining Scully & Pershing and steal some sensitive information related to a multibillion dollar litigation case between two defence contractor firms. Plot: Kyle McAvoy is being blackmailed by a one Bennie Wright into joining Scully & Pershing and subsequently steal sensitive information from the firm. Reason why Kyle succumbs to blackmailing tactic is because Bennie has in his possession a video which, if released can ruin Kyle’s career and that of 3 of his friends. Information he was supposed to steal is worth billions of dollars as it can help competitor firm win a multibillion lawsuit. Story primarily revolves around how Kyle follows instructions of Bennie but in parallel tries to outsmart his blackmailer. Book gives details of how law firms operate and life of associates and partners working there, chasing one single factor-how much and how long they can bill their clients-particularly how they hire freshers and bill their clients’ huge amount for their silly activities called work. 1 After describing how secure and robust information systems at Scully & Pershing (a reputable law firm that has employed Kyle) are, author’s way of stealing information from there is through USB drive. Now that is little difficult to digest, as most of the companies will have USB ports disabled in their office systems. 2 Who was Bennie Wright, whom did he work for, how did he get hold of the video and several other sensitive information about the law firm? All these questions unanswered. 3 What happened to the litigation case between Trylon and Bartin Dynamics? Who won, what happened to the contract to build those special aircrafts-all these questions unanswered. 4 Kyle’s father, a respected small town lawyer, goes to Elaine’s lawyer, tells her that there exists a secret video which they can use against his son and then offers huge cash deal in exchange for an agreement that Elaine and her lawyer will not sue his son. I feel this was uncalled for. It’s also not clear if this deal worked out to everyone’s satisfaction. I felt the book kind of ended abruptly-In the end Kyle simply walks away-leaving everything behind, while Bennie is at large, posing a threat to his life. Because of so many unanswered questions, when I finished reading the book I thought some pages must be missing. Went to a bookstore and checked few other copies to confirm that no pages were missing. If you’ve read it tell me how you felt. I think I will stay away from this one unless maybe I can borrow it! Grisham writes really well. He does keep you hooked. But more often than not, the plot leaves a lot to be desired. Apart from a few of his bestsellers many of his books have this problem. Another reason I believe this happens because barring the first few books, big writers like Grisham write more for money churning out books at regular intervals rather than concentrating on creating good content. Somehow, as Lunatic has mentioned, many writers have started following this trend of leaving many things unanswered. They call is being diplomatic. I found this not just in english novels, but also in Indian (tamil) novels. Most of them at least, if not everyone. That's not a right practice right? Anyone can weave an interesting but illogical story, drag it and end abruptly. I feel authors should take it to a convincing end. Exactly. Thats my point too.